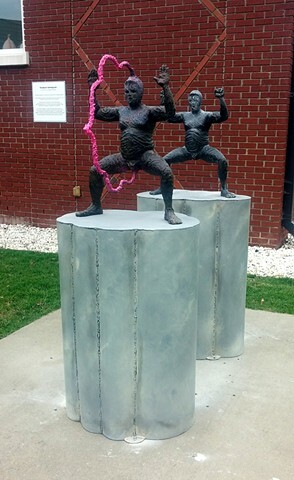 Installed for the 2015-16 Salmagundi International Sculpture Exhibition at the Rocky Mount Imperial Center, NC. This outdoor sculpture features one man in two moments in time, before and after unleashing his kundalini. Yeah, its not for everybody.